Target audiences for the review include government and private sanctuaries, protected area (PA) management agencies, Indigenous protected areas (IPAs), environmental NGOs that look after land, and community-based conservation practitioners, in Australia and the Asia-Pacific region. The report aims to identify what is most needed in professional capacity development to better prepare protected area managers and practitioners to meet today’s challenges. It outlines how PALRC can help meet the capacity challenge, with all knowledge traditions working together. The report identifies training issues and needs, along with current courses and providers. 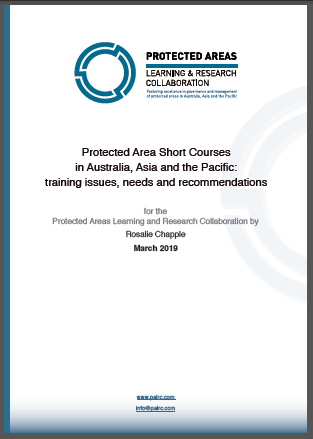 The focus is on identifying priority needs for tailored short courses that can complement formal educational training offered through universities and technical and further education (TAFE) colleges.